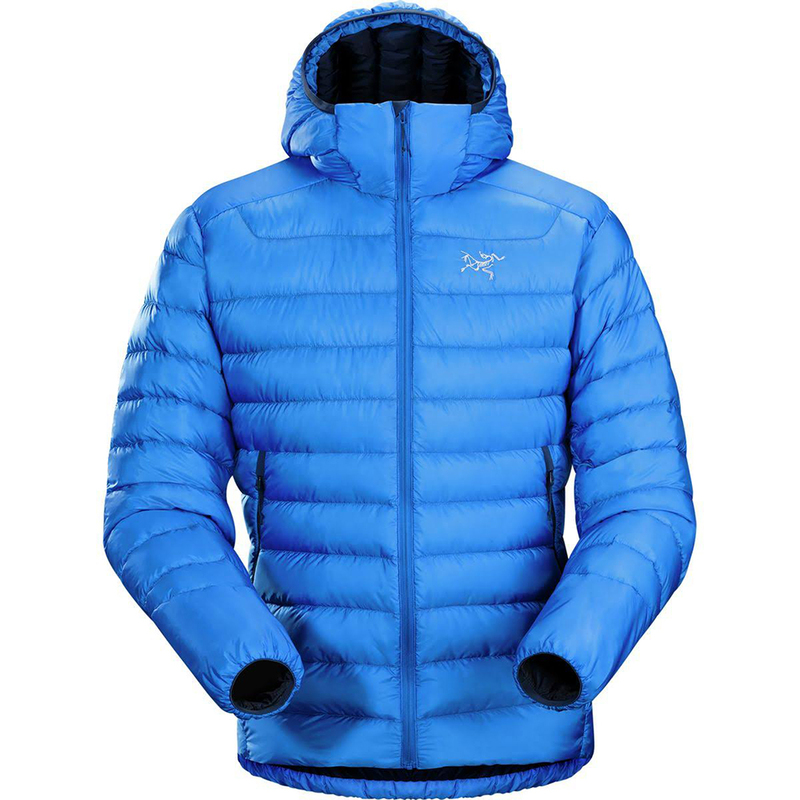 "Streamlined in its design, and with an exceptional warmth-to-weight ratio, the Cerium LT hoody works as midlayer or standalone in cool, dry conditions. Premium 850 fill-power down is lofty and resilient, the Arato 10 nylon shell provides lightweight durability, and Down Composite Mapping strategically places Coreloft synthetic insulation in moisture-prone areas. Articulated construction moves with the body, and the insulated StormHood provides coverage without compromising range of vision. �Internal zippered security pocket with stuff sack"